And the Lord came and stood,calling...And Samuel said, "Speak, for your servant hears." Years ago a group of friends started recalling the prayer language we had heard as children. With the majority of us having been raised in faith communities that emphasized the importance of personal, extemporaneous prayer, our collective memories were extensive and yet oddly familiar. We discovered that most of the prayer language of our youth had a particular structure and usually entailed lots of talking. Some of the vocabulary used required a theological dictionary along with numerous spiritual proclamations and revelations. Opportunities for silence were pretty much non-existent. Basically, prayer was about speech, not listening. Prayer is a unique opportunity! It is a God conversation consisting of simple, plain language--a conversation that is probably best by saying nothing at all. Samuel’s prayer of Speak, for your servant hears is about as simple as it gets and yet it is perhaps one of the most poignant prayers that we can speak. It is one of those “says it all” prayers for the believer. No matter one’s circumstances, environment, mood or situation here is a simple prayer that can be prayed no matter the season of life. But, it does have one challenging demand–silence. And, in an age of talking heads, iPods, and cell phones silence is a rare commodity. 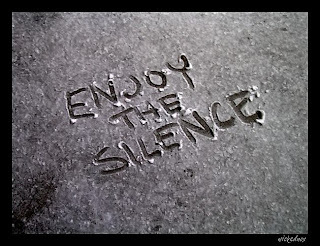 In order to hear, there has to be a willingness to listen, and in order to listen, silence is an absolute necessity. God calls our name every day. We have only to pray, Speak, for your servant hears. Thought for the Day: How can I become a better listener when I pray? Jesus, thank you for calling out to me.